The News Slider Web Part renders a simple news slider carousel to your page. 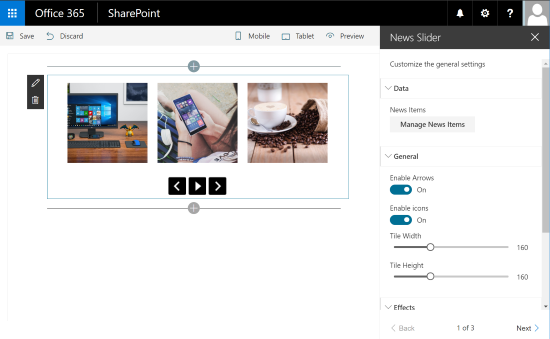 You can manage your active news, manage the layout and easily render a cool slider to enhance your pages. This web part uses unitegallery.js and the Custom Fields library to enhance the web part edition experience.